Season 9 (it's been on for NINE seasons?!) of So You Think You Can Dance starts up next Thursday, May 24th. 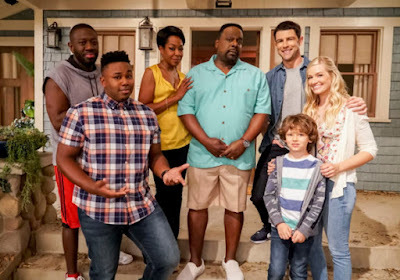 As you may recall, the show was dealt an interesting hand earlier this year when producers were told that they would no longer have two episodes a week. That's right, there will be no more results show. No more results show?! Then how will we find out the results? At least for the first two competition episodes, it will go like this: episode one will be a standard performance show like we're used to. The following week, the dancers will perform again, but during their critiques, they may find out that they're in the bottom. They won't find out before their routines because that could skew how they perform. At the end of the episode, the judges will then decide who goes home from those bottom three. Does that mean they still perform solos? It may be on a case by case basis, depending on the whims of the judges. I suspect all of this is subject to change as the season progresses. One thing you can say about SYTYD: they're willing to mix things up. So what does that mean for us as viewers? More partner dances, it would seem. The contestants who go home will essentially be given an extra week of dancing, which actually seems like it could be a good thing. Also? It means we don't have to waste a whole hour waiting to get to some results every week (no more lame musical guests? Yes!). And don't worry, there will still be a group number each week, it will just be at the top of the performance show instead of the results show. The other big news - there will be two winners. One guy and one girl. In the past, it's come down to just one winner, but this change actually makes sense, too. Since you start out voting for couples on the show, and they eliminate dancers in a one boy/one girl fashion anyway, it makes total sense that there would be a winner from each gender. Of course, this could set up some blowback, as sometimes there seem to be better dancers in one gender over another. Are you excited, or are you feeling the fatigue? Personally, I just love to watch good dancing.